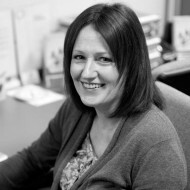 Lisa Boulton is the Medical Director of Amethyst Health Screening, a local company which carries out health checks and cardiovascular risk assessments for Lincoln residents and local businesses. She contributes on health-related topics for The Lincolnite. Your health: Pump up the volume! Your health: Don’t burst a blood vessel! Your health: Are you an apple or TOFI? Your health: Are you at risk of a stroke or heart attack? Your health: Could you be a binge drinker? Your health: High cholesterol – do you have it?